The MILL RUSH product line is currently on promotion from Taegutec. You could get as much as 70% discount from list prices on MILL RUSH holders if you purchase 40 inserts (or 55% if you purchase 30). Or, for an even better deal, why not take advantage of the following EXCLUSIVE offer from NSERT UK? 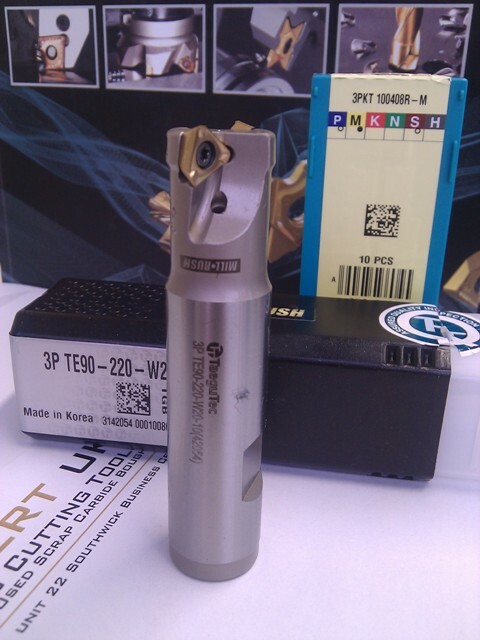 Get a 20.0mm diameter MILL RUSH endmill holder and 10 inserts to suit for only £125.00 (including VAT) if you buy today via Paypal. This will be a limited time offer so take advantage today! UPDATE : This promotion is now over – The Taegutec Mill Rush product may still be on offer, if you have interest in taking advance of Mill Rushes technical advantages please get in contact today to discuss.